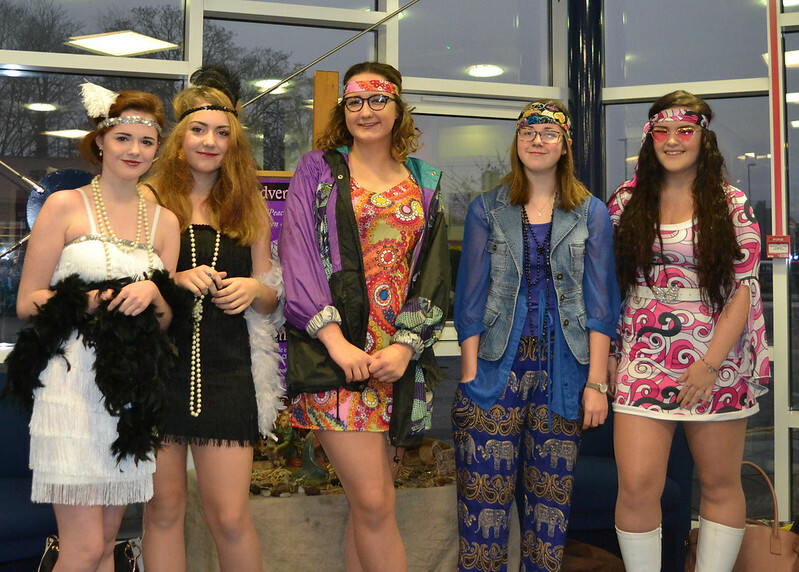 Another very successful Sixth Form fancy dress day was held this week at St. Mary’s. Sixth Form. Students and staff arrived for lessons in fancy dress costumes, each one donating £10 to the school’s annual Advent Appeal, proceeds from which will be sent to St. Gemma’s Hospice, CAFOD, Catholic Care and Martin House. The Advent Appeal will also support the work of St. Vincent de Paul in all they do to change the lives of families living in poverty across Leeds. This year again there were many different imaginative and creative costumes, some made by the students themselves including cowboys, clowns, angels, Christmas trees and a SWAT team! The staff, not to be outdone, also joined in, with some departments following a particular theme.